So, you're ready for your first Dominican blowout. You've heard about the price, which, when compared to traditional black salons, is usually lower. In some cases, it's much lower. That alone may be enough to sway you. However, if your hair is long and/or all-natural and very thick, you'll probably be charged a little more. You might have also heard about the heat, which can be pretty intense. Here's the rundown on what to expect from this technique when done in a salon. A stylist will start you off with a regular shampoo and conditioning session. Her products may differ from what you find in another black salon, but most might be the same. Some lines, however, are more common in salons that offer Dominican blowouts, such as Lacio Lacio, Sedal or Kuz. If you're not sure about the products the stylist uses, you can usually request to bring your own. A lot of customers that frequent salons that specialize in this process are of African descent and are looking for ways to straighten their hair either with or without chemicals. If you're natural and you want a temporary straightening solution, expect a detangling session. Even if your hair is relaxed, some detangling is necessary before moving on to the next step. Magnetic rollers are still one of the best ways to smooth and straighten hair; they're much gentler than using any heat tools. Expect to have your hair set on rollers that are the largest size possible for your hair length. The goal is to dry your tresses quickly while keeping your mane straight since creating curls is not the aim. You will probably not have any product applied to your hair as it's being set. Once your hair is rolled, expect to sit under a hood dryer for at least an hour. 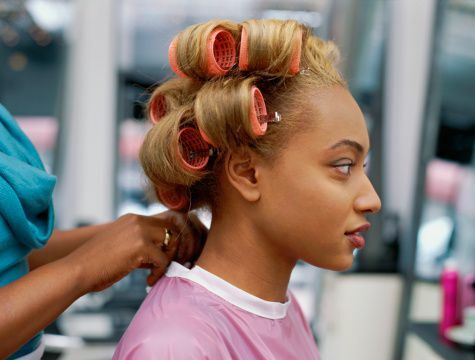 Women who have experienced a blowout like this as well as a regular wash-and-set usually report sitting under the dryer longer for a Dominican blowout, sometimes about 20 minutes more. This is the arena where Dominican blowout stylists excel. Although you can receive an excellent blowout at a traditional black salon, many women are convinced that Dominican stylists have perfected this technique to an art form. They use a big roller brush, the type that features bristles all the way around, along with a high-temperature blow-dryer with a focused nozzle. This concentrates the hot air into a small area. The stylist will simultaneously work the brush and dryer down the hair shaft from the root to the tip. She'll apply the brush and/or dryer to the top and bottom of each section to ensure maximum smoothness. Experienced stylists can perform this step rather quickly, even on hair that's very long. ​Speed of service is another area where these stylists seem to have an edge. Some stylists follow up with a flat iron in spots where they feel extra straightening is required. After the hair is completely blow-dried, an oil or serum will be applied to your hair. While wet setting the hair is a great method for straightening without direct heat, the long time spent underneath a dryer along with the blow-drying temperatures can be cause for concern. 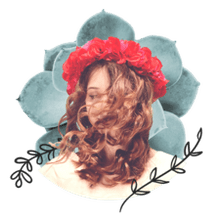 This is where the verdict for the advantages of a Dominican blowout seems to be mixed: some women have had this service done for years and have never had any breakage while others have the service performed once and never regain their natural curl. So why do some women absolutely love these blowouts? It's the airy look these stylists are able to achieve. This is often because they don't apply any products before blow-drying, but if they do, it's usually water-based and lightweight. That's one of the main reasons those old-fashioned press 'n curls often looked so limp and lackluster after a couple of days -- the heavy amount of "grease" applied to tresses before hot combing. There's merit to that old saying "fried, dyed and laid to the side": putting oils or grease onto hair before adding heat is just "cooking" it and the old-fashioned press usually appeared heavy. On the other hand, former customers and even current ones often point out the huge amount of tugging and pulling involved (more likely for natural clients) to get that completely straight look. Plus, there's the high temperature required during blow-drying. Some customers walk out of the salon, literally, with sore scalps. Instead of relaxers causing the soreness, however, it's the result of rough treatment. If you understand Dominican culture and the high degree of importance many ​place on perfectly straight hair, you might understand why they're so good with straightening techniques. More salons offering this method are cropping up everywhere, but instead of simply walking into the nearest one, you should do your homework to find the one that's best for you.